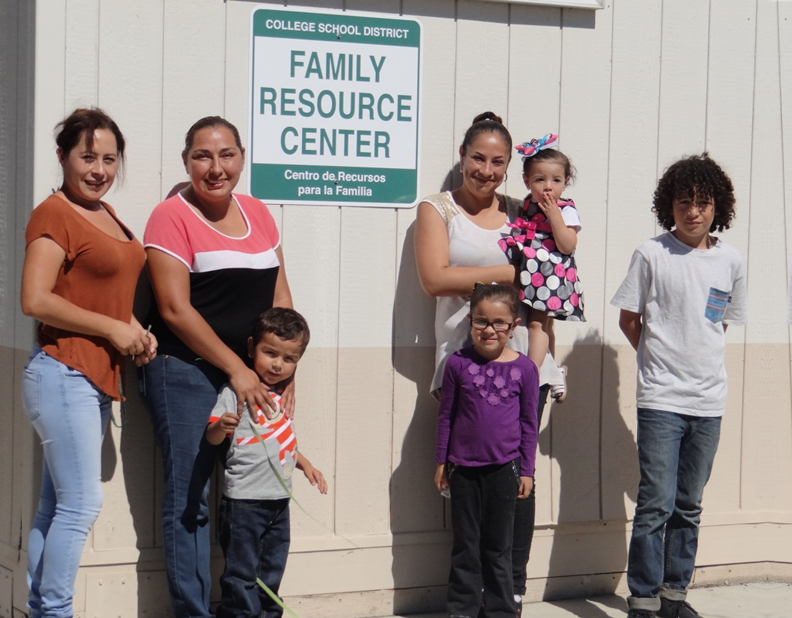 A Family Resource Center (FRC) is a place where parents and caregivers can get help on a wide range of needs to make sure that children are healthy and ready for school and families are supported. The FRC serves children and their families at College School District with the goal to provide the best start for all children by supporting families to be their first teacher, encourage parent participation and engagement at school, and to work with the child’s teacher to support learning at home. The FRC is place where you can obtain information on topics such as health nutrition, child care, parenting and managing daily life stressors. The FRC have knowledge about community resources and can help you get linked to these services. The FRC is also offers parenting classes on topics such as how to positively discipline your 5 year old or teenage child, substance abuse prevention, and healthy food preparation. The FRC support families by making many services easier to get. The FRC staff can help you identify the resources you need ranging from health insurance enrollment like Medi-cal to obtain medical or dental services in your community. We support families when they are experiencing a life chaning events that impact your ability to provide for your family such as a loss of a job, death in the family or medical injury. In addition, the FRC provides mental health and wellness services for children and families experiencing daily challenges such as divorce. 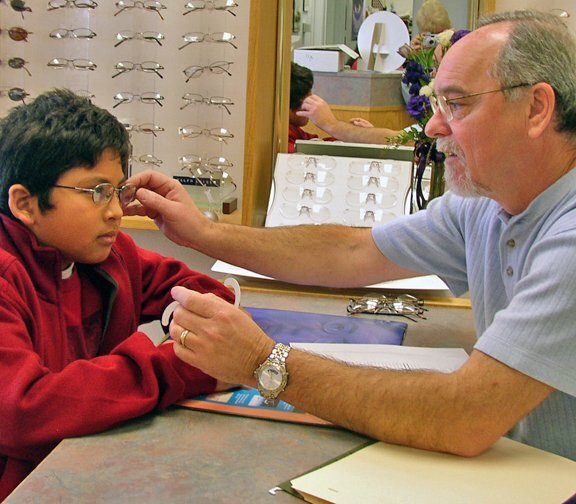 We work with the family to provide holistic and comprehensive services. People Helping People (PHP) provides a wide range of basic needs and support services to families and individuals in communities in the Santa Ynez Valley (Solvang, Ballard, Buellton, Santa Ynez, and Los Olivos), Los Alamos, and surrounding areas. Domestic violence prevention services and limited basic needs services are available to farm and vineyard workers in the Lompoc Valley. PHP services are available at our Service Center and five separate school-based Family Resource Centers. Generally, in order to obtain services from PHP, clients must complete enrollment forms. If you would like to save time at your appointment to discuss services, you may download these forms and complete as much information as you can prior to you appointment. Don’t forget to bring your completed forms to your appointment. Download Enrollment Forms. Many of PHP’s services require proof of income, address, U.S. residency, persons living in your household, etc. Please review individual services below to see what documents may be required. View list of suitable documents to meet requirements. 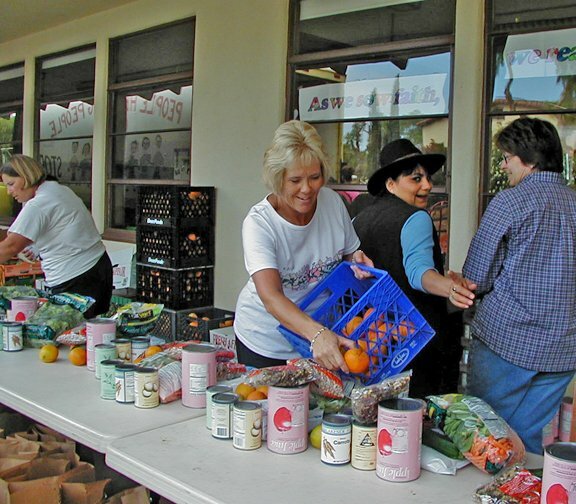 Program Groceries are distributed to income-qualified individuals and families every other Thursday from 12:00 – 1:00 PM at Mission Santa Ines in Solvang, at 10:00 AM at Creekside Village in Los Alamos, and 1:00 PM at the Buellton Senior Center. Dependent upon household size, approximately 20, 40, or 60 pounds of produce, canned goods, meats, juice and cereal is provided to clients at each distribution. Families or individuals who are not able to pick-up groceries at the times listed above may qualify for late pick-up or delivery. Please contact PHP’s Food Program Coordinator for additional information. To enroll in the Food Distribution, contact PHP’s Family Service Advocate at the Family Resource Center at your child’s school. Food items from Albertsons and local bakeries are available at the locations and days of the week listed below. Items offered for pick-up are subject to availability from donors. There are no income eligibility requirements and you do not need to pre-enroll, but you must sign-in and bring your own bag(s) or basket to carry your products home. 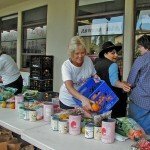 On the 2nd Wednesday of each month from 11:00 AM – 12:00 PM, produce is available at Crossroads Church in Buellton. There are no income eligibility requirements and you do not need to pre-enroll, but you must sign-in and bring your own bag(s) or basket to carry your produce home. Help is available with gas and electric bills for those facing a temporary financial crisis. You must have received a ten day turn off notice and have a plan to stabilize your finances. A drug test is required. Assistance is available 1-time in a 12 month period. PHP will not pay reconnection fees. Payment is made directly to the utility. Contact: Victor Gonzalez, Emergency Solutions Advocate, 805-686-0295 x112 victor@syvphp.org. Individuals and families lacking basic household goods due to theft, disaster, or financial crisis may be eligible for a voucher to shop for the basics at the PHP Thrift Store. To obtain a voucher, contactPHP’s Santa Ynez Family Service Advocate | Sandra Zepeda | 805-757-7167 | sandra@syvphp.org. 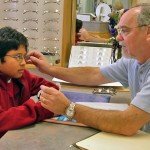 PHP’s CHART (Community Health Access Resource Team) services program furnishes a complete range of medical care to low income individuals who are uninsured and not served by public programs. PHP’s Family Service Advocates, who are all Certified Application Assistants, screen clients for eligibility for MediCal or other insurance programs. Those who qualify for insurance are helped with application submittals and referred to participating health care providers. For those who do not qualify and cannot be referred to public programs, services are arranged to be provided free of charge or at low cost by local volunteer professionals. Local doctors, pharmacies, and labs; furnish free and/or discounted services to PHP clients. PHP staff helps to arrange appointments to participating providers and may provide transportation when alternative transportation is not available. To qualify for medical assistance individuals and families must have a household income at or below 250% of Federal poverty level (click here for income eligibility table) or be experiencing a current financial crisis. To request further information or to make an appointment, contact PHP’s Santa Ynez Family Service Advocate | Sandra Zepeda | 805-757-7167 | sandra@syvphp.org. Services are tailored to the individual needs and goals of clients. 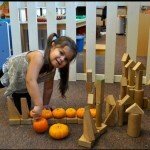 Desired outcomes include increased understanding of child development, positive parenting skills, improved individual self-worth and sense of self for children and adults, improved communication and satisfaction in family and social relationships, and overall improved quality of life for individuals, couples, and families. Counseling services for students and their families are available free of charge at the Santa Ynez Valley Union High School, College, Buellton, and Solvang School Districts. Counseling is furnished by interns completing advanced degrees and who need to complete hours of practice toward licensing. Interns are supervised by an experienced and licensed Marriage and Family Therapist (M.F.T.). Services are furnished based upon referral from school faculty and staff or a Family Services Advocate at the school’s Family Resource Center. To request further information, contact PHP’s Santa Ynez Family Service Advocate | Sandra Zepeda | 805-757-7167 | sandra@syvphp.org. Limited community based counseling services are available to individuals, couples, and families on a sliding fee scale based upon income. View sliding fee scale. Services are furnished at PHP’s Solvang Service Center. To request further information or to schedule an appointment contact: Rena Smith, LMFT, Clinical Superviser, at rena@syvphp.org or 805-705-9142. Prenatal care is important to ensure your child is healthy and strong. PHP works with the Welcome Every Baby program to provide follow up care after the initial nurse visit. PHP offers support and information relating to your pregnancy, delivery, and nutrition and child development. PHP staff are trained in lactation support and to screen for postpartum depression. If you are unable to come to our offices, we can do a home visit. In addition, if there are services that require medical attention, PHP assists you to make sure you get the help you need for yourself and children. Income eligible pregnant women and mothers with infants and children come to Santa Barbara County’s Women’s, Infant’s and Children’s (WIC) nutritional program to get information about how to prepare nutritious meals and receive vouchers for healthy foods. Schedule: 3rd Thursday of each month from 9:00 AM – 5:00 PM at PHP’s Solvang Service Center. To schedule an appointment, call 805-737-6470 and ask to be seen at PHP’s Solvang Service Center. PHP’s CHART (Community Health Access Resource Team) services program furnishes a complete range of medical care to low income individuals who are uninsured and not served by public programs. PHP Family Service Advocates, who are all Certified Application Assistants, screen clients for eligibility for MediCal or other insurance programs. Those who qualify for insurance are helped with application submittals and referred to participating health care providers. For those who do not qualify and cannot be referred to public programs, services are arranged to be provided free of charge or at low cost by local volunteer professionals. Local doctors, pharmacies, and labs; furnish free and/or discounted services to PHP clients. PHP staff helps to arrange appointments to participating providers and may provide transportation when alternative transportation is not available. To qualify for medical assistance individuals and families must have a household income at or below 250% of Federal poverty level (click here for income eligibility table) or be experiencing a current financial crisis. To request further information or to make an appointment, contact PHP’s Santa Ynez Family Service Advocate | Sandra Zepeda | 805-757-7167 | sandra@syvphp.org. If you do not have a child in a local school, contact: Victor Gonzalez, Emergency Solutions Coordinator, 805-686-0295 x112 victor@syvphp.org. The purpose of the Los Alamos Youth Program is to provide a safe and supportive environment for 8th-12th grade youth. Services are designed to ensure that youth have the best chance of graduating from high school and developing a post-secondary plan which includes college, university, vocational and/or technical school and/or the military. The program currently operates in the Los Alamos Senior Center from 3-6 PM on weekdays. Work with students by PHP’s onsite Youth Services Specialist focuses on academic achievement and provides computer education, leadership training, life skills and drug prevention education, and recreational/field trip activities to supplement homework assistance and tutorials. Students are required to check in and out daily. Enrollment is limited to 15 students daily. 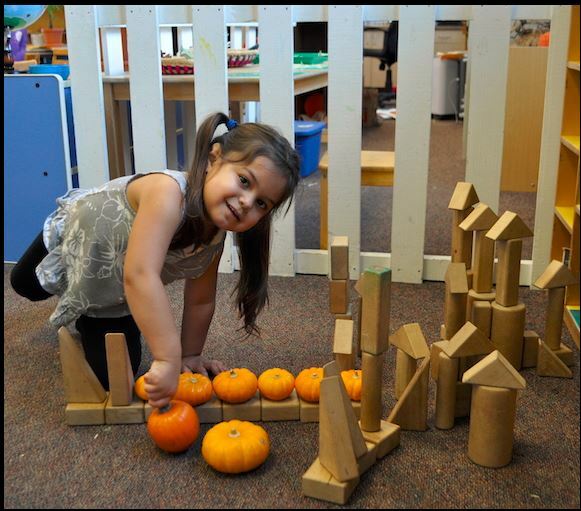 To enroll a student, contact Carrie Hernandez, Youth Services Specialist, at 805-245-3648 or carrie@syvphp.org. PHP offers “Nurturing Parenting,” an evidenced-based parent and child support program. This curriculum provides information about child development and positive parenting and is designed to improve the relationships between parents and children. Interested current or expecting parents, grandparents, or other caregivers should contact Arcelia Sención, Director of Health Care & Social Services, at 805-588-2495 or arcelia@syvphp.org for further information and schedules. Help is available to families experiencing domestic violence. Assistance includes development of a safety plan, counseling, legal aid, shelter and other services. PHP’s ADCAP (Advocates for Domestic and Child Abuse Prevention) program is the only domestic violence intervention/prevention program serving the Santa Ynez, Los Alamos, and Lompoc Valleys. Trained and Certified PHP Advocates are on-call twenty-four hours a day, seven days a week to respond to Sheriff’s calls to the scene of each domestic violence crime. Advocates provide immediate comfort and support to the survivors of the violence. Short term help may include medical attention and shelter. Longer term assistance may come from PHP’s direct services programs in the form of help with food and rental assistance, direction to successfully navigate the criminal justice system, group and individual counseling for adults and children, and access to services from the District Attorney’s Victim Witness Program. Contact: Ana Banda, Domestic Violence Prevention Specialist, at 805-705-9143 or ana@syvphp.org. PHP operates the Christmas Fulfill-A-Wish program each year in December. Approximately 100 eligible low-income families, including 300 children, are furnished holiday gifts, clothing, and toys. Click here for income standards. Donated items are displayed in a holiday “boutique” in a retail store location and parents are given an appointment date and time to select items based on their needs and family size. Applications for Fulfill-A-Wish assistance are normally taken in early November. To request further information, contact PHP’s Santa Ynez Family Service Advocate | Sandra Zepeda | 805-757-7167 | sandra@syvphp.org. If you do not have a child in a local school, contact: Marisela De La Cruz, Administrative Assistant, at 805-686-0295 x100 or marisela@syvphp.org. PHP can help with translating or understanding a business or government form, healthcare questions, or communicating with a child’s teacher or school administrator. Staying healthy is important to all families. Sometimes it can be hard to make healthy food choices when families are working hard to provide food on the table. Cooking Counts will provide information about what you eat today can impact your long-term health. In partnership with local chefs and nutritionists, PHP sponsors the Cooking Counts classes. Participants in the Cooking Counts classes will learn how to shop for healthy foods and still be on budget, understand nutrition labels and prepare delicious meals. After meals are prepared, all participants eat together in a family style dinner. Classes are held at St. Mark’s Church and sign-ups are on a first come, first serve basis. Families with children 8 years and older are eligible to attend. If you do not have a child in a local school, please contact: Victor Gonzalez at 805-686-0295 x112 or victor@syvphp.org. The objective of services is to maintain stable housing for individuals and families by preventing eviction or rehousing individuals and families as soon as possible after an eviction. Generally, imminent eviction is required and income standards must be met. Housing must meet Federal market cost and habitability standards. Click here for HUD income eligibility standards. Services include rent and utility payments and development of a housing, financial and employment plan. Drug testing is required. Rent payments may only be made to the owner/landlord and documentation of a lease or rental agreement is required. Since documentation of income and other items is required, appointments are necessary. For further information or an appointment, contact Victor Gonzalez, Emergency Solutions Advocate, at 805-686-0295 x112 victor@syvphp.org. You can obtain limited assistance with public transit if you do not have transportation to employment interviews or a job and you cannot afford to pay for such service. To apply for transportation aid, contact PHP’s Santa Ynez Family Service Advocate | Sandra Zepeda | 805-757-7167 |sandra@syvphp.org. 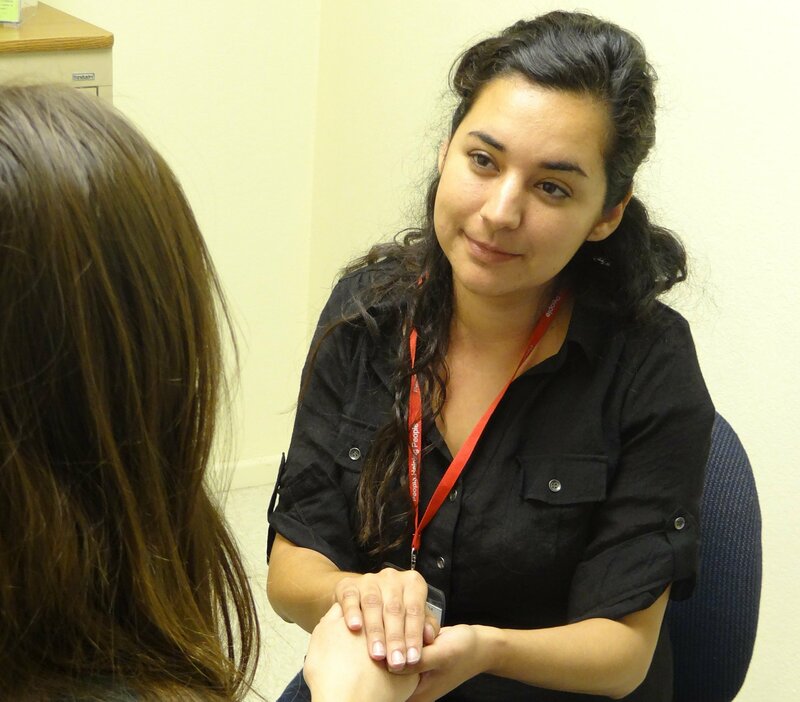 PHP’s CHART (Community Health Access Resource Team) services program furnishes a complete range of medical care to low income individuals who are uninsured and not served by public programs. PHP’s Family Service Advocates, who are all Certified Application Assistants, screen clients for eligibility for MediCal or other insurance programs. Those who qualify for insurance are helped with application submittals and referred to participating health care providers. For those who do not qualify and cannot be referred to public programs, services are arranged to be provided free of charge or at low cost by local volunteer professionals. Local doctors, pharmacies, and labs; furnish ee and/or discounted services to PHP clients. PHP staff helps to arrange appointments to participating providers and may provide transportation when alternative transportation is not available. To qualify for medical assistance individuals and families must have a household income at or below 250% of Federal poverty level (click here for income eligibility table) or be experiencing a current financial crisis. To request further information or to make an appointment, contact PHP’s Santa Ynez Family Service Advocate | Sandra Zepeda | 805-757-7167 | sandra@syvphp.org. Eligibility for this program is limited to uninsured children who are not eligible for public programs, who are ages 3-18, and whose household income is 250% of Federal poverty or less. Clients pay all or part (monthly) of a steeply discounted fee charged to PHP by participating dentists. The actual payments of families/individuals are based upon income on a sliding scale. View income guidelines and sliding fee scale. Clients sign an agreement to repay their portion of dental fees and PHP pays the dentist directly for the balance. PHP staff helps to arrange appointments to participating dentists and may provide transportation when alternative transportation is not available. In addition to the provision of acute dental care, clients receive information about hygiene and oral health education from PHP staff in order to reduce the number of emergency visits to a dentist. To request further information or to make an appointment, contact PHP’s Santa Ynez Family Service Advocate | Sandra Zepeda | 805-757-7167 | sandra@syvphp.org. Eligibility for this program is limited to uninsured adults age 60 and older and whose income is 150% of Federal poverty or less. Clients pay all or part (monthly) of a steeply discounted fee charged to PHP by participating dentists. The actual payments of families/individuals are based upon income on a sliding scale. View income guidelines and sliding fee scale. Clients sign an agreement to repay their portion of dental fees and PHP pays the dentist directly for the balance. PHP payments are limited to a maximum of $1,500 per year. PHP staff helps to arrange appointments to participating dentists and may provide transportation when alternative transportation is not available. Contact: Victor Gonzalez, Emergency Solutions Advocate, 805-686-0295 x112 victor@syvphp.org. PHP is able to assist seniors to reduce food insecurity via its own food distribution programs and enrollment in CalFresh, to help access low cost or free medical, dental, and mental health wellness care, connect with other seniors, and to obtain referrals to additional services such as in-home, respite, and memory care. Initial contact may be based upon agency referrals or self-referral. Dependent upon availability of transportation, an initial appointment may be by home visit or at the PHP Service Center. Home visits may be carried out as needed to review living and health conditions and to reduce stress of travel and application for services. Rental and utility assistance are also available to prevent homelessness and elimination of utilities. Transportation, if needed, is provided for healthcare and other appointments. Contact: Victor Gonzalez, 805-686-0295 x112 victor@syvphp.org. PHP is a Certified Enrollment Entity and staff members are Certified Enrollment Counselors. 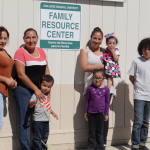 We can enroll and renew qualified applicants in Medi-Cal at any of PHP’s local Family Resource Centers. Enrollment requires documentation of household income which must be at or below 138% of Federal Poverty level. Click here for Medi-Cal Income Eligibility. Each person in an income qualifying household may be enrolled in Medi-Cal as long as they have documentation of legal U.S. residency. NOTE: Not all household members need to be documented residents in order for the other income qualified and documented residents to qualify for assistance. To enroll in or renew Medi-Cal, contact PHP’s Santa Ynez Family Service Advocate | Sandra Zepeda | 805-757-7167 | sandra@syvphp.org. If you do not have a child in a local school, contact: Marisela De La Cruz, Administrative Assistant, at 805-686-0295 x101 or marisela@syvphp.org. A PHP Youth Services Specialist (Mentor) provides academic and life skills coaching and mentoring for “at risk” high school students. The goal is to help students reach their highest potential, to graduate from high school, and to continue their post-secondary education. The Mentor advocates for the students’ needs with school counselors, teachers, and administrators in order to address the “whole child”. The mentor works with students to develop an academic improvement plan and then meets regularly with each student to review the academic progress and make recommendations for improvements. Access to PHP’s family basic needs support services are an added resource for these students. PHP’s Mentor also operates the “Pirates Cove” in Room L-5 at the high school. This room affords students with the opportunity to have a place to read and study before and after school and during nutrition and lunch breaks. Students also have access to computers to complete school work or research secondary education opportunities. Enrollment in the mentoring program is based upon academic need and students are referred to the program upon recommendation of parents and High School District staff. A limited number of small scholarships are available to students of low income families purchase equipment for sports and other activities or attend camps or workshops. At some time, parents experience difficulty in coping with the stress of child rearing. If you are experiencing feelings of ongoing anger or feel that you are unable to properly care for the day-to-day needs of your child or children, help is available. PHP can assist you by furnishing support, education, counseling, and basic needs services if you are having trouble making ends meet. There are no income eligibility requirements. PHP also furnishes services upon referral from S.B. County Child Welfare Services for individuals who could benefit from assistance. If you do not have a child in a local school, contact: Arcelia Sención, Director of Health Care & Social Services, at 805-588-2495 or arcelia@syvphp.org. Many individuals and families face challenges due to job loss, poor health, injury, death of a family member, spousal abuse, or substance abuse. Individuals, families, and especially children in these situations face enormous financial and mental stress potentially jeopardizing their physical and mental well-being. PHP staff works to develop a “strengths based” plan to overcome these difficulties. The goal is to stabilize families experiencing hardships with a plan that weaves together provision of PHP services, links to help from other agencies, and on-going case management assistance and support, as long as necessary, from a PHP Family Services Advocate.